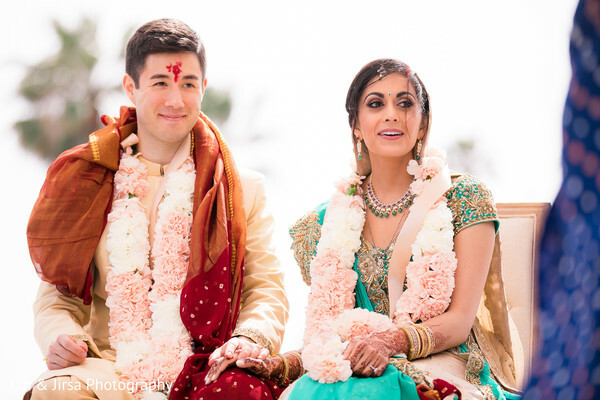 I return to our home state of California celebrating the union of Shruti and Brad with their fusion Indian wedding at the fabulous Pasea Hotel and Spa. 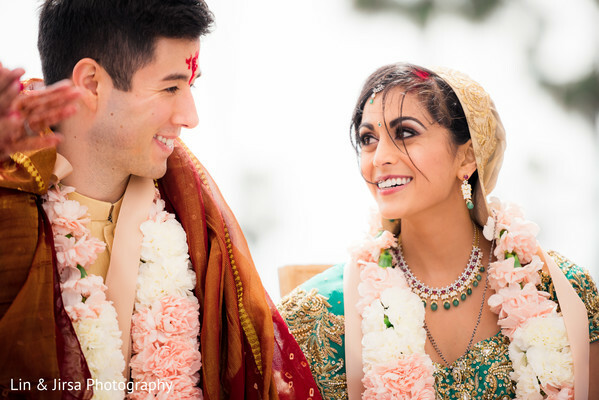 Shruti incorporated the cultural traditions of her Indian heritage and wed in a traditional Indian wedding ceremony to her ravishing beau. 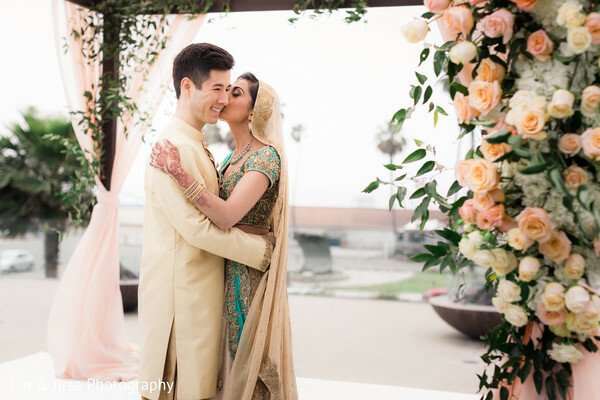 Indian wedding and design planner extraordinaire Neha Shah and Amanda Mendez of Blue Lotus Insights were there to ensure that all the events were seamless in transition. 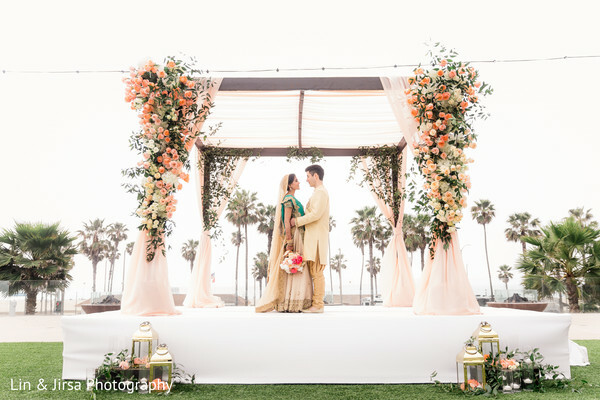 The happy couple utilized the lush greenery of their venue to serve as their backdrop as they exchanged their vows inside a rustic mandap that twinkled with charm. 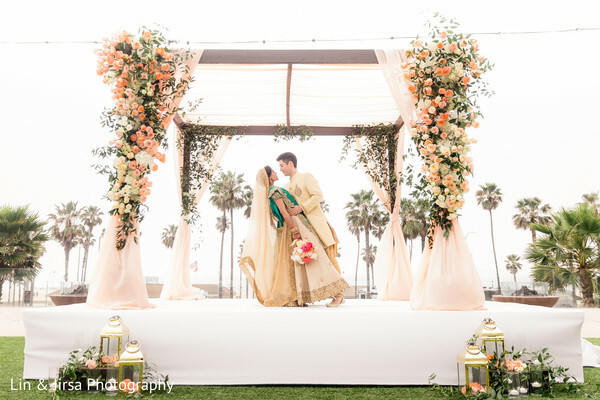 The stage was the perfect addition for an ambiance of laid-back elegance full of sentimental emotion designed by Three Petals. 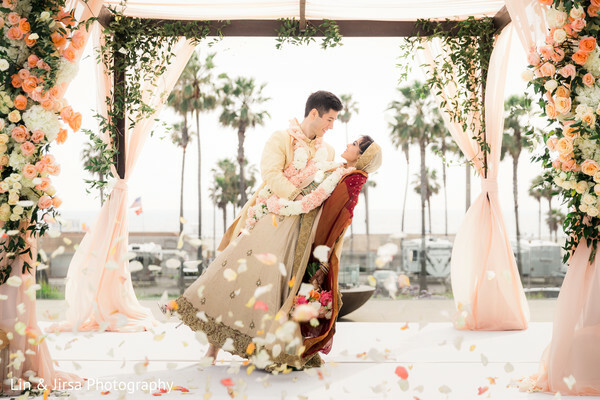 Brad led his baraat ceremony with Enchanted Carriages to the whimsical location that just radiated with refined charisma. Coming up, I have 3D Sounds on the turntables and Ronobir Lahiri Music ready to take the entertainment reigns. 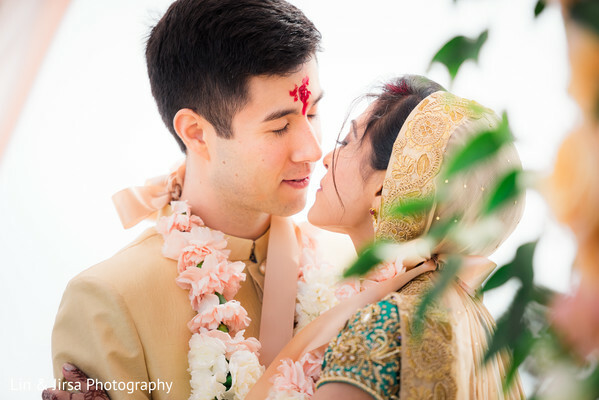 All the images captured by Lin & Jirsa Photography can be found in our gallery! 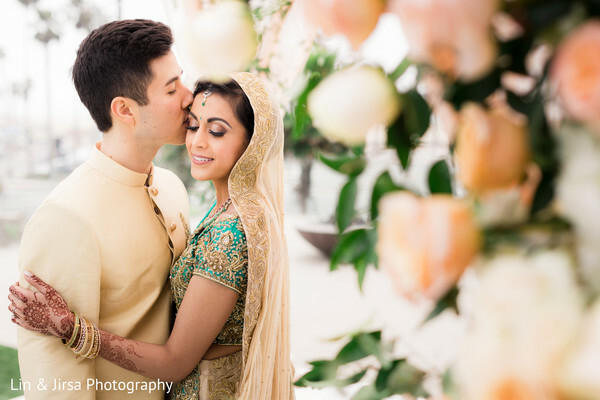 One last stop for the wedding reception is heading your way! 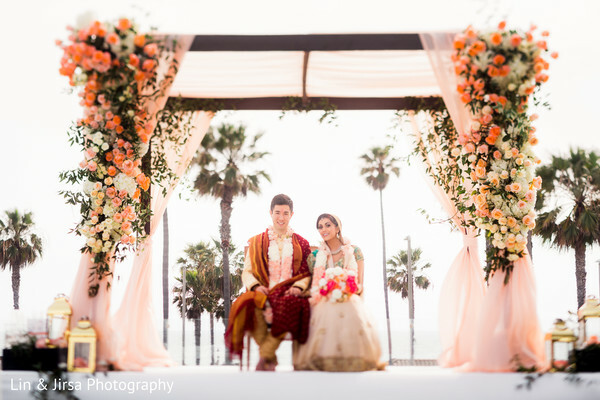 Blue Lotus Insights, 3D Sounds, Pasea Hotel & Spa, Ronobir Lahiri Music, Enchanted Carriages and Three Petals are members of the Platinum Guide. Love what you see? Explore their portfolios.